When I saw the theme of this week, I knew exactly which picture I wanted to enter. Obviously with a one year old in the house we do a lot of playing. And when the weather got warm enough, we purchased a pool to put in the backyard. 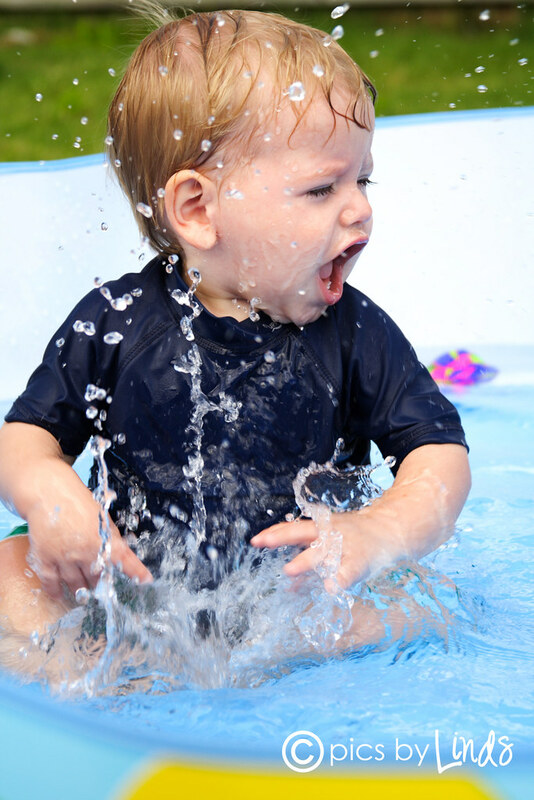 He clearly was entertained, and as with most boys, was the most entertained by making HUGE splashes. This picture just captures him perfect with splashing, and focuses on his face, which cracks me up! To check out more playtime pics, click on the i heart faces logo below.